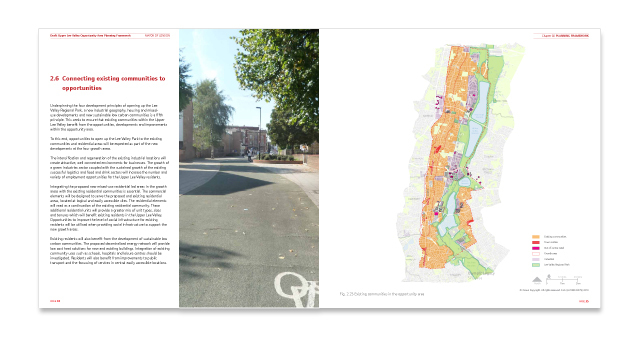 Project: Upper Lee Valley, Opportunity Area Planning Framework. 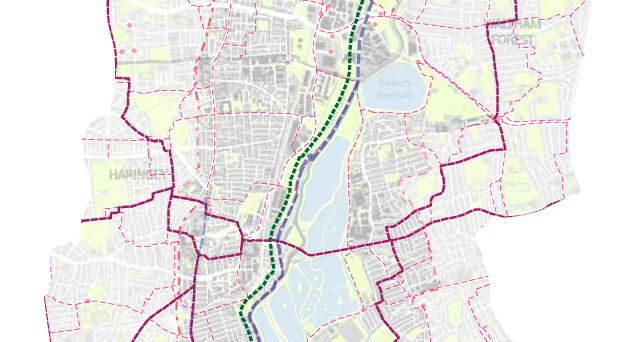 Description: Mapping the Upper Lee Valley and Report Design. 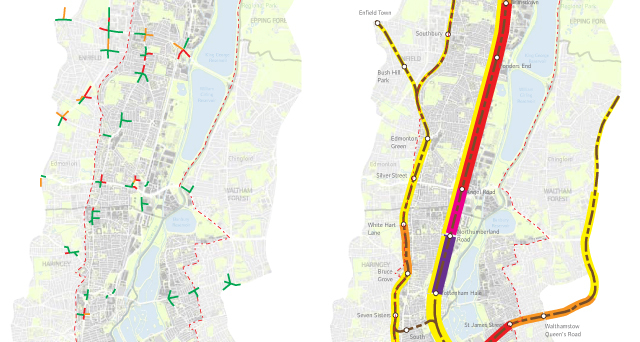 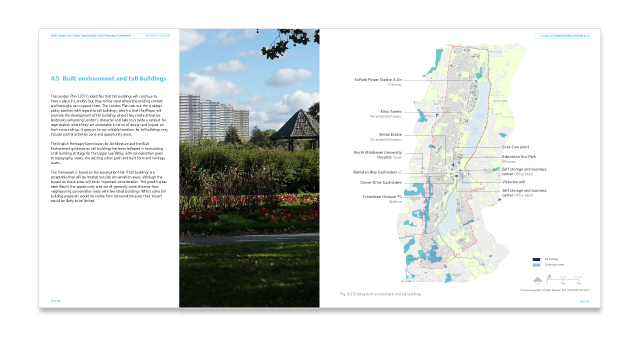 Challenges: To communicate clearly the vision and regeneration proposals along this 14km corridor through clear concise maps, illustrations and a desktop published document. 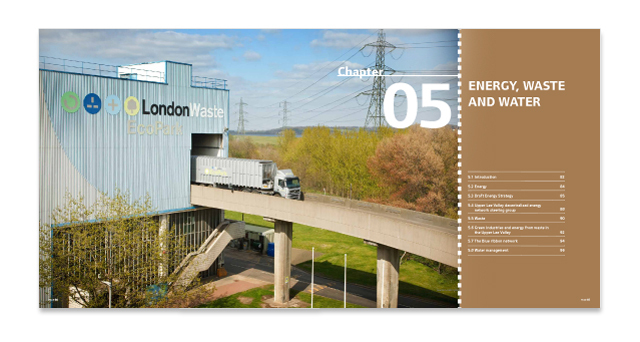 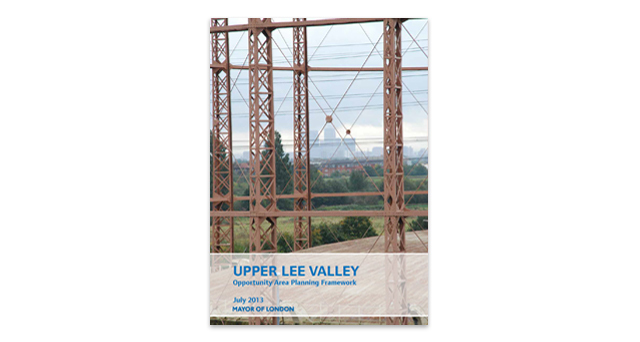 What we did: Urban Graphics helped plan and structure the Upper Lee Valley Opportunity Area Planning Framework document, setting out the graphic design along with the production of intricate maps which are a key part of this report.